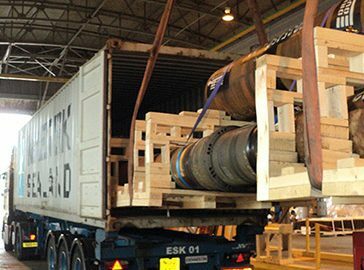 To provide the packing for drill pipes weighing 21T and 8.45m long. 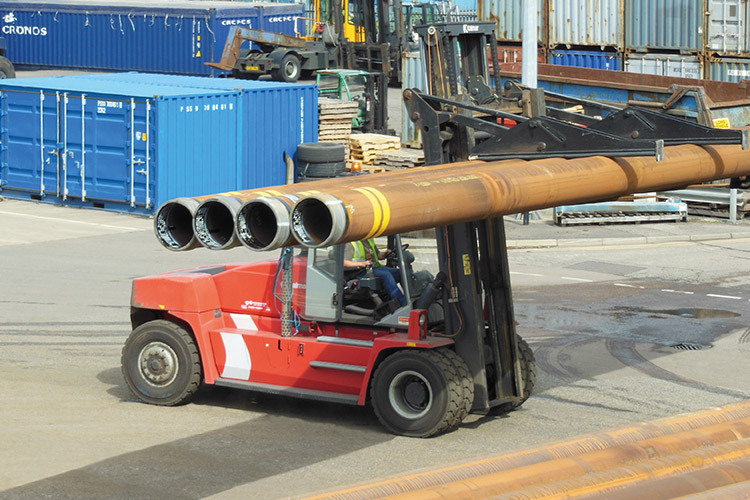 In order to move the pipes to Busan, a unique form of containerisation would be needed to avoid damage during loading and unloading. We developed a design and packing solution where the pipes could slide in and out seamlessly of a standard shipping container. 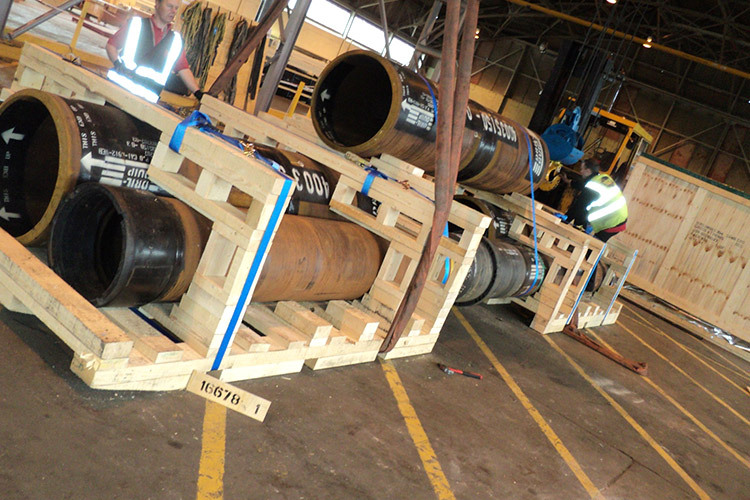 Rising to the challenge, our team came up with a bespoke heavy duty skid type base pallet, built to fit the diameter of the pipes. 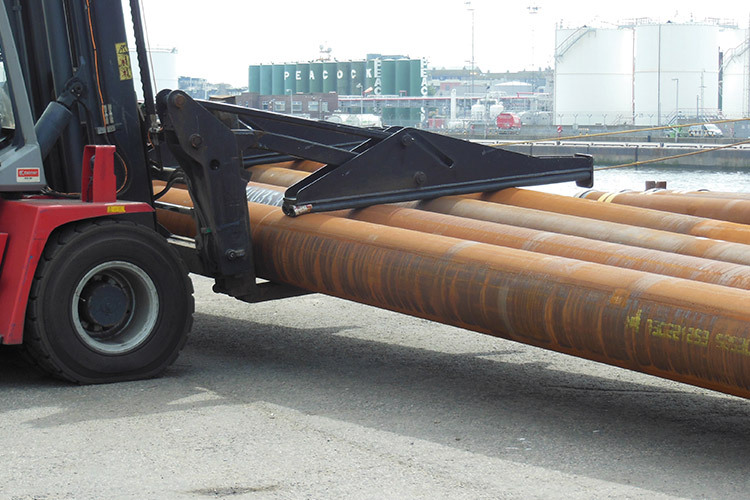 The pipes were then secured with ratchet straps at each end to prevent movement in transit. 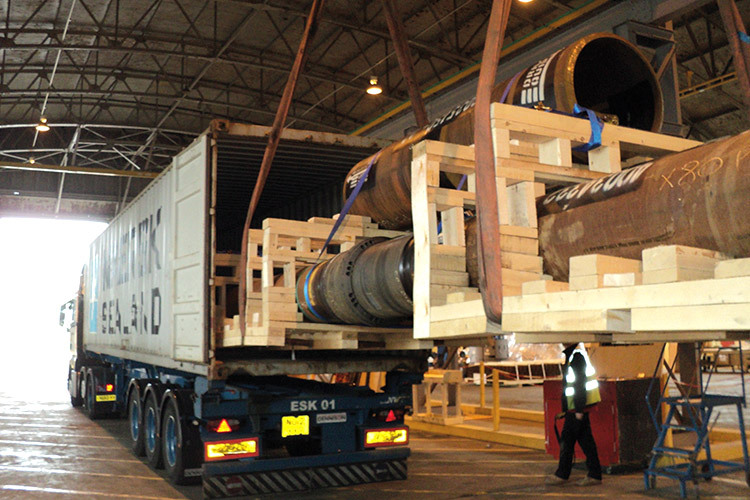 Each pipe was loaded using a 50T twin lift crane at the packing and loading facility. The customer was delighted to find out this all happened in just a matter of hours of the cargo arriving, complete with all the necessary documentation. 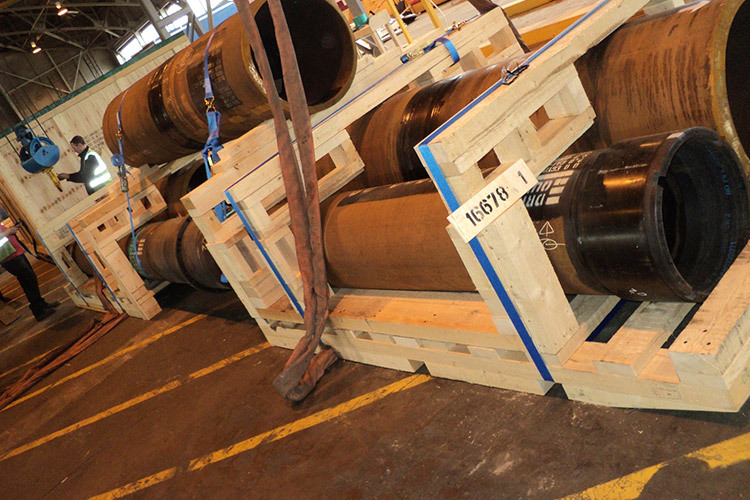 Since developing this unique solution, we’ve adopted this style of packing for other pipe shipments.